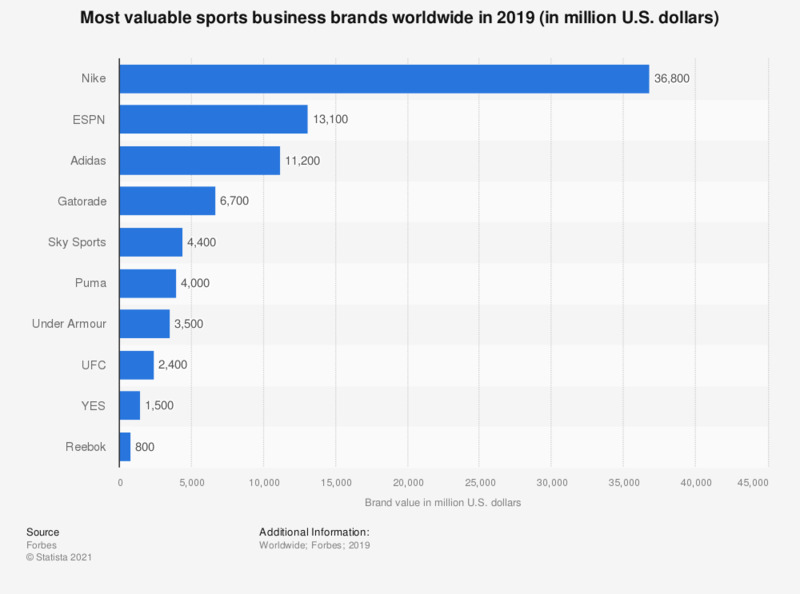 The statistic shows a ranking of sports businesses worldwide in 2017 according to brand value which was calculated by Forbes. Nike is the most valuable sports business brand worldwide in 2017 with a brand value of 29.6 billion U.S. dollars. According to a 2014 survey on most purchased sports brands, 49 percent of sports goods consumers bought a Nike product during the previous year. * A business' brand value is the estimated enterprise value the business would sell for in an arms-length transaction, less the enterprise value of a typical industry peer of equal size would sell for.